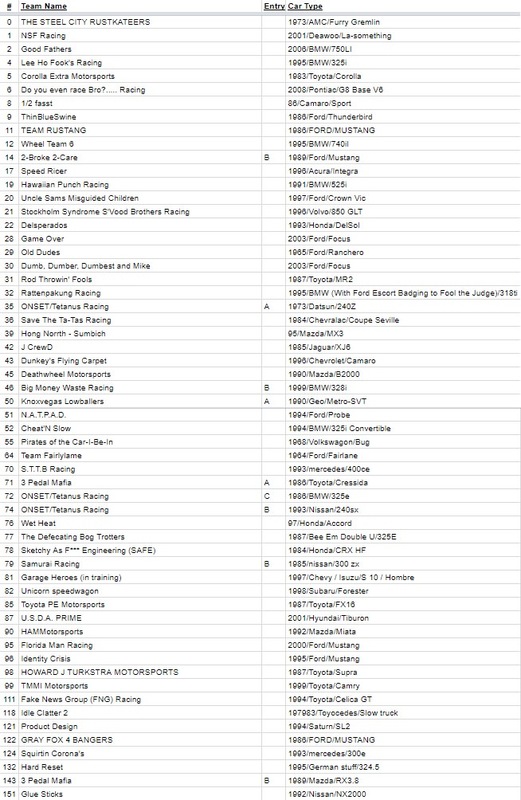 Could you also post the list for last weekend's Sonoma? 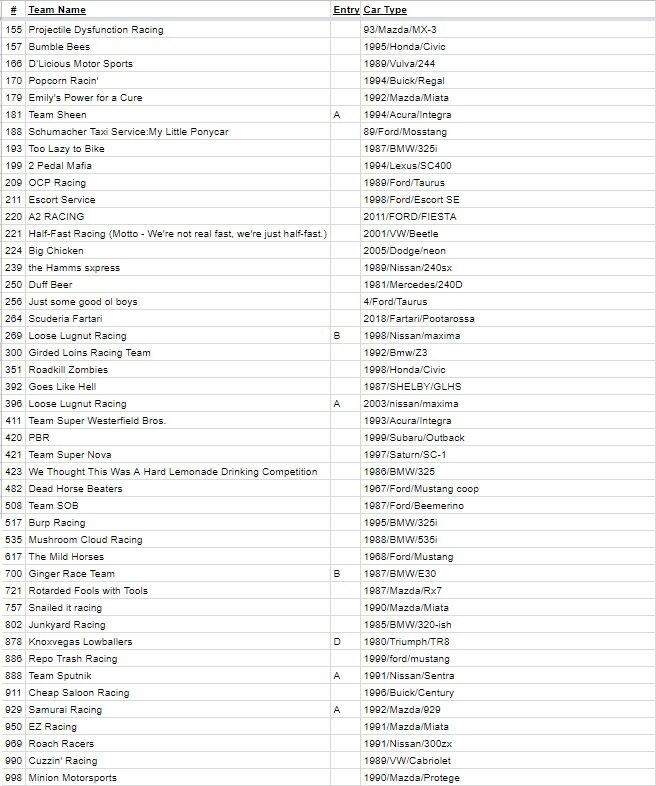 Trying to match the cars in my flashbacks to team names. Its actually 104, some dumbass registered for the 2019 race thinking it was the 2018 race. HQ sorted it out.